What is a Cash Rich Split Off? A cash rich split off is a merger and acquisitionMergers Acquisitions M&A ProcessThis guide takes you through all the steps in the M&A process. Learn how mergers and acquisitions and deals are completed. In this guide, we'll outline the acquisition process from start to finish, the various types of acquirers (strategic vs. financial buys), the importance of synergies, and transaction costs technique where a seller exchanges the company’s stock for stock in a subsidiary SubsidiaryA subsidiary (sub) is a business entity or corporation that is fully owned or partially controlled by another company, termed as the parent, or holding, company. Ownership is determined by the percentage of shares held by the parent company, and that ownership stake must at least 51%.of the company without incurring taxes, provided that the statutory requirements are met. The technique allows companies to dispose of non-core assets and emerge with cash without technically selling anything. 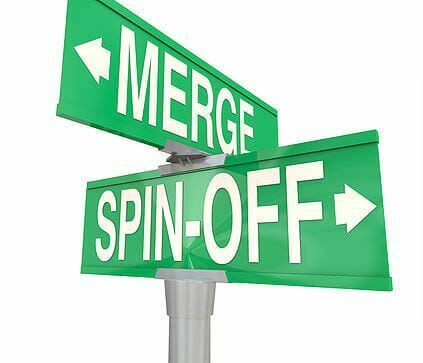 Split-offsSpin-OffA corporate spin-off is an operational strategy used by a company to create a new business subsidiary from its parent company. A spin-off occurs when a parent corporation separates part of its business into a second publicly-traded entity and distributes shares of the new entity to its current shareholders. are deemed non-taxable since the deals only rearrange the company’s assets. An example of a cash rich split off is the case of Yahoo planning to sell its assets in Yahoo! Japan and Alibaba, without paying the huge capital gains tax. The cost of the assets is approximately $20 billion, and if the company had to pay tax on this transaction, it would amount to more than $7 billion. However, with a cash-rich split-off technique, Yahoo would sell its Asian assets without paying the tax to the government. How does a Cash Rich Split Off work? For a cash rich split off transaction to be valid, a third party would have to set up a new company that comprises cash or cash equivalentsCash EquivalentsCash and cash equivalents are the most liquid of all assets on the balance sheet. Cash equivalents include money market securities, Bankers Acceptances, Treasury bills, commercial paper, and other money market instruments. greater than or equal to 66% of the company and operating assets. The operating assets include licenses, businesses, and other assets greater than or equal to 33% of the total value of the company. The company must have owned and operated the business for 5 years or more. This company would then be exchanged with the seller’s assets. After the swap, the buyer will need to own and operate the new company for at least two years. However, the cash received can be used or monetized immediately. What is the Benefit of a Cash Rich Split off? The technique is beneficial to both the seller and the “cash rich” subsidiary of the company. The seller enjoys a tax-free dispositionTax-Free ReorganizationTo qualify as a tax-free reorganization, a transaction must meet certain requirements, which vary greatly depending on the form of the transaction. of the company’s assets for cash without necessarily selling anything. Also, the seller has a chance to negotiate with the subsidiary to contribute operating assets that the seller plans to acquire. The subsidiary benefits from a cash rich split off by getting an opportunity to dispose of a non-core asset without incurring a tax expense. They also get a chance to repurchase shares at an attractive price. What are the Challenges of a Cash Rich Split off? Although the transaction would benefit the seller and the buyer, it would put a drain on Treasury DepartmentTreasury Career PathTreasury management jobs involve ensuring that cash and financial risks in a business are properly managed and optimized. The main priority is to ensure cash is managed for day-to-day business operations while having an outlook for long-term strategy. The treasury career path can be a very interesting and rewarding, particularly when substantial investment assets are involved. This is because of the massive logistics involved and the regulatory issues to navigate.